Everyone hates to fail, but for some people, failing presents such a significant psychological threat their motivation to avoid failure exceeds their motivation to succeed. This fear of failure causes them to unconsciously sabotage their chances of success, in a variety of ways. Failing can elicit feelings such as disappointment, anger, frustration, sadness, regret, and confusion that, while unpleasant, are usually not sufficient to trigger a full-blown fear of failure. Indeed, the term is somewhat of a misnomer because it is not failure per se that underlies the behavior of people who have it. 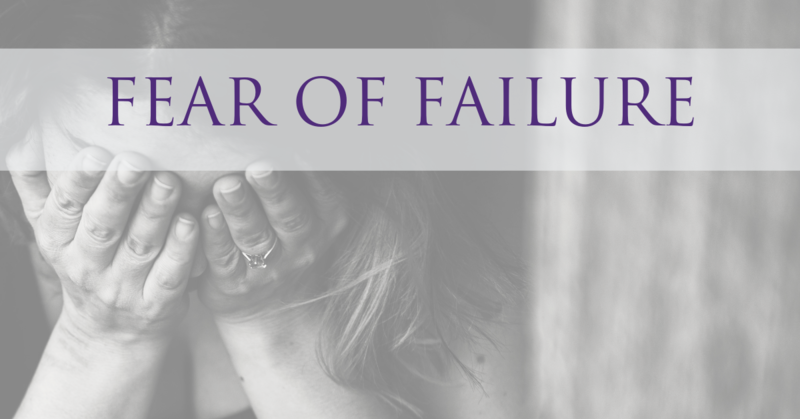 Rather, a fear of failure is essentially a fear of shame. People who have a fear of failure are motivated to avoid failing not because they cannot manage the basic emotions of disappointment, anger, and frustration that accompany such experiences but because failing also makes them feel deep shame. Some thoughts I use to avoid the Fear of Failure. Feel the Fear and Do it Anyway. A good book to get you through those feelings. “Grant me the serenity to accept the things I cannot change, the courage to change the things I can, and the wisdom to know the difference.” Identify aspects of the task or preparation that are in your control and focus on those. Brainstorm ways to reframe aspects of the task that seems out of your control such that you regain control of them. I think of my favorite athlete. How he gets knocked down, intercepted, misses the last shot, or. He shakes it off and tries again. Michael Jordan is widely considered to be one of the greatest basketball players of all time. And yet, he was cut from his high school basketball team because his coach didn’t think he had enough skill.